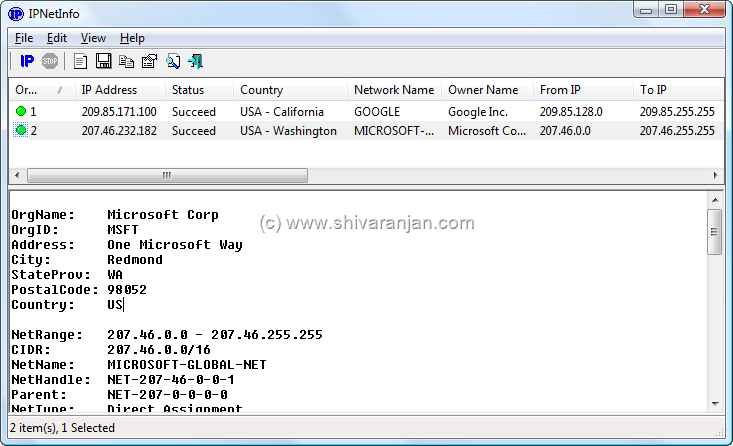 IPNetInfo is a free utility using which you can lookup the WHOIS information of any IP address right from your desktop. This is pretty much useful when you want to find the WHOIS information of IP address you don’t have to open your browser instead launch IPNetInfo and get the job done. This utility retrieves WHOIS information from ARIN, in the event the information is not available from ARIN then it retrieves the WHOIS records from RIPE, APNIC, LACNIC or AfriNIC. 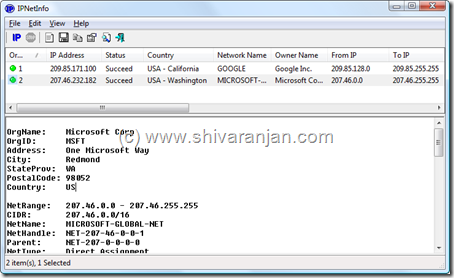 To retrieve WHOIS information record of an IP address enter or paste the IP address and the WHOIS records would be retrieved. There is also an option using which you can directly enter a domain name and IPNetInfo would retrieve the IP address of that domain and then pull the WHOIS records, for this option work you have to enable the “Convert host names to IP addresses” option. 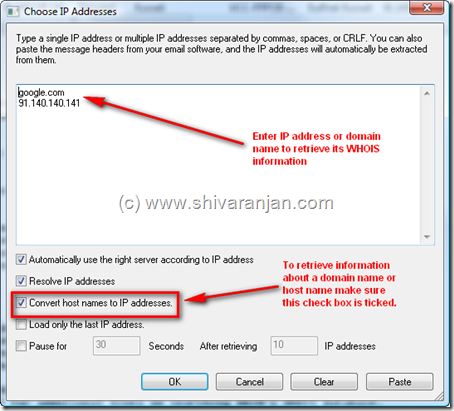 The following details of an IP address are displayed: IP address, status, country, network name, From IP, To IP, contact name, address, abuse email, phone, fax, Whois source, host name, resolved name and etc. The records that are retrieved can also be saved for future use. You can carry this application in your portable drive as it does not require any installation and works with most of the Windows operating system. really really nice piece of writing. Our ultimate strategy – equideow pirater.